There are plenty of mid-size sedan options near Greensboro, North Carolina, but only one offers the sporty driving feel, stylish design and exceptional value of a Nissan. The new Nissan Altima has arrived Vann York Nissan and features a number of updates and upgrades from previous Altima models. The 2016 and 2017 Altima sedans feature the most technologically advanced cabin and driver assist features ever built into an Altima, but at the same affordable Nissan price as before! Drivers near Greensboro, NC can get into Nissan's popular Altima sedan for a test spin at Vann York Nissan. Shop our online inventory now to find a 2016 Nissan Altima or a new Altima near Greensboro, NC at Vann York Nissan that you would like to call your own! Nissan's Altima has always offered a sportier persona than much of its mid-size sedan competition, and that continues with the 2016 and 2017 models. The Altima's standard 2.5-liter 4-cylinder engine provides plenty of performance; plus, it is highly efficient. The available 3.5-liter V6 motor really brings the Altima to life, and is sure to put a smile on the face of any driver! Every new Nissan Altima gets the latest version of Nissan's innovative Xtronic CVT (continuously variable transmission), which has been continually improved over the years to maximize fuel economy, performance and smoothness. Inside the new Altima, high-tech gadgetry meets a refined and spacious interior. The seating for five passengers is roomy, comfortable and especially smooth when you opt for the available leather-trimmed seating. Other available cabin features in the 2017 and 2016 Nissan Altima mid-size sedan include heated front bucket seats, a large touchscreen display, built-in RearView Monitor (rear camera) and NissanConnect with Navigation and Mobile Apps. Car shoppers near Greensboro can start shopping the extensive inventory of new Nissan Altima mid-size sedans at Vann York Nissan now, right here on our website. While shopping for your new Nissan here on our website, be sure to apply for auto financing; that way, you can be pre-approved for financing before your visit to our dealership lot! 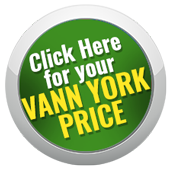 Vann York Nissan is just minutes from anywhere in Greensboro, as our full-service Nissan dealership is located at 1810 S Main St, in High Point, NC.